The new open-world setting of Metro Exodus means major changes for the way in which the series handles your equipment. In an interview with PCGN, the game’s producer, Jon Bloch, discussed the growing importance of the game’s backpack, which is becoming an important gameplay mechanic for the first time. Bloch says that the linear structure of the first game meant that “we knew what the player was going to experience next, so we could design a level to where there was a trader before some big encounter where we thought the player would want to switch the weapons up in a certain way.” So if there was close-quarters combat in the next section of the level, players might be offered a shotgun in place of their sniper rifle. Here are some of the best FPS games on PC. 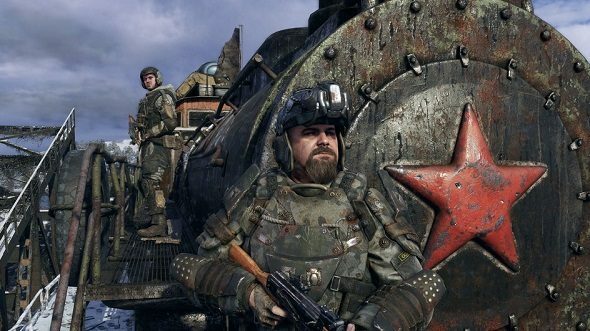 The Metro Exodus release date is pretty soon – August 8 in fact – so it won’t be long until you’re heading out into the wastes on the Aurora. To tide you over while you wait, check out a trailer for the game above.